Privacy campaigner issues cases against online giants. Following last week's deadline, it was just a matter of time before GDPR lawsuits start flying in, and the first few have now appeared. 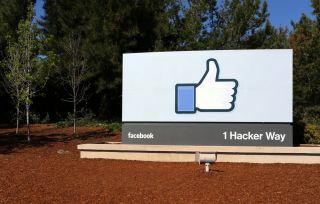 General Data Protection Regulation is, at the time of writing, exactly four days old, and Facebook has been hit by three complaints in Germany, Austria and Belgium. The American social media giant, with its subsidiaries WhatsApp and Instagram, is being sued for €3.9 billion under the accusation that it forced users into giving consent in order to access certain services. The man behind these lawsuits is Austrian privacy advocate Max Schrems. According to various media reports, Schrems has also filed a separate complaint about Google. Filed in France, this one is worth €3.7 and has the same arguments. PDFs of the complaints can be found here, here, here and here. All of the complaints have been launched under Schrems' non-profit organisation NOYB. The Register argues that the non-profit has been set up specifically to take advantage of GDPR. Something like a GDPR Troll, if you will.